Following on from the Easter egg discovery from Battlefield 1 earlier this month indicating that an event will take place on May 23rd, 2018. 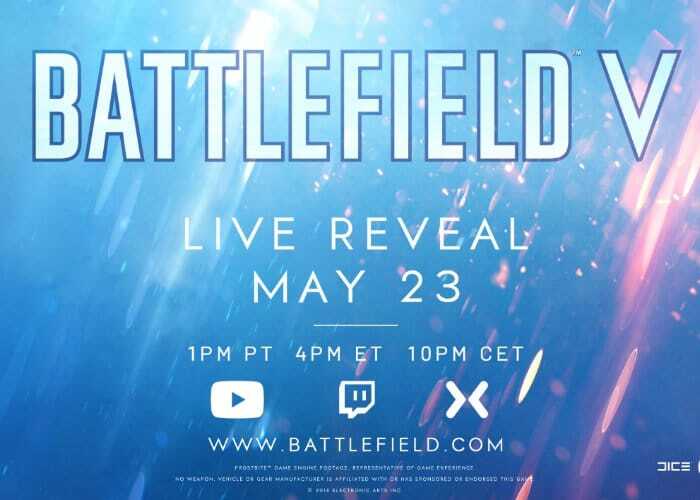 Battlefield fans looking forward to learning more about the new Battlefield V game, will be pleased to know that EA has officially announced the development of the game and will be holding a “Live Reveal” later this month on May 23rd, 2018. The Battlefield V reveal will take place at 1 PM PT or 4pm ET or 10PM CET during which you can expect to see a trailer and also learn more about what you can expect from the storyline, locations and characters that will populate the new game.